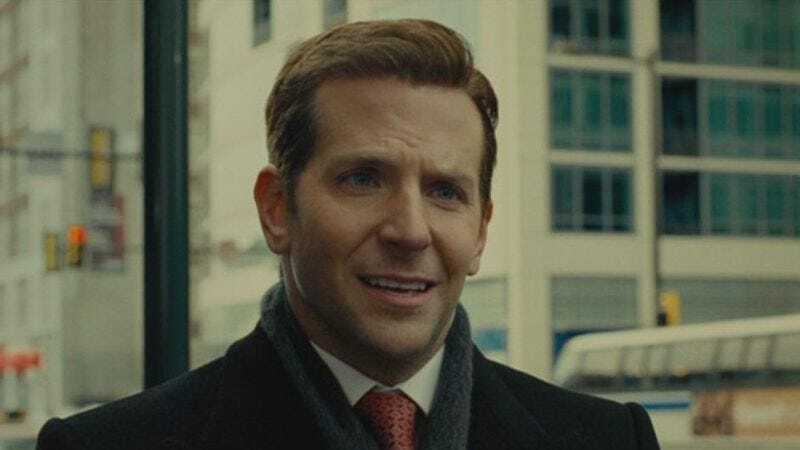 After taking an experimental drug that greatly increases the brainpower it can devote to TV adaptations of recent movies, CBS has announced that it is developing a pilot based on the 2011 Neil Burger film Limitless—which starred a pre-space raccoon Bradley Cooper. We last heard about the Limitless adaptation about a year ago, but now the project is officially moving forward. According to Variety, Craig Sweeny—an executive producer on Elementary—is writing the pilot, and Cooper, Burger, Super Best Friends Roberto Orci and Alex Kurtzman, and about 95 other people will be executively producing it. The movie is about a loser schlub—Cooper, playing to type—who starts taking a magic pill that makes him super smart. Some other stuff happens, blah blah blah, and Cooper ends the movie as a successful writer who is running for the United States Senate. Variety says the TV version will pick up right where the movie left off, which means it will apparently be about a genius politician who uses his incredible memory and vast wealth to help as many people as he can. Just like all politicians do! That’s the kind of witty political commentary that only someone who takes a secret genius pill could come up with.